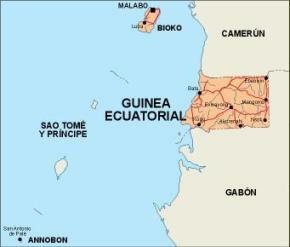 Equatorial Guinea, officially the Republic of Equatorial Guinea; is a country located in Middle Africa. It comprises two parts: a Continental Region (Río Muni), including several small offshore islands like Corisco, Elobey Grande and Elobey Chico; and an insular region containing Annobón island and Bioko island (formerly Fernando Po) where the capital Malabo is situated. 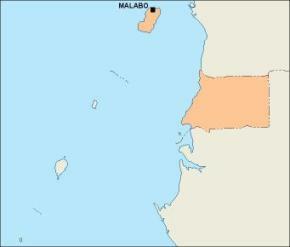 Annobón is the southernmost island of Equatorial Guinea and is situated just south of the equator. 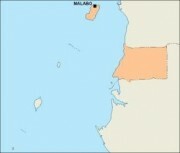 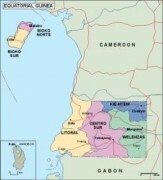 Bioko island is the northernmost point of Equatorial Guinea. 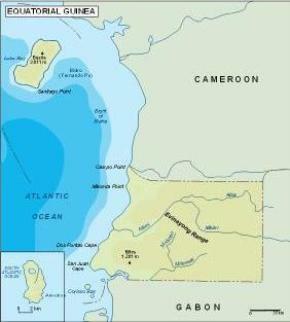 Between the two islands and to the east is the mainland region. 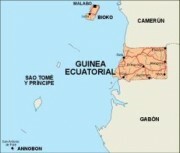 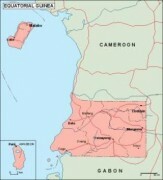 Equatorial Guinea is bordered by Cameroon on the north, Gabon on the south and east, and the Gulf of Guinea on the west, where the island nation of São Tomé and Príncipe is located between Bioko and Annobón. Formerly the colony of Spanish Guinea, its post-independence name is suggestive of its location near both the equator and the Gulf of Guinea.